Video conferencing can improve the speed and convenience of legal proceedings and important business collaborations when meeting in person is difficult, costly, or time-consuming. 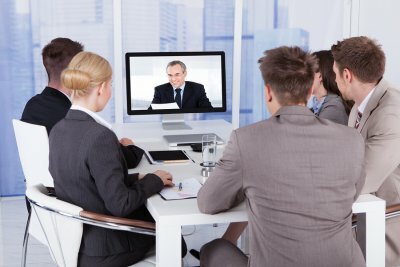 If you are planning to hold a video conference in San Jose, maintaining both video and audio quality is important to ensure the conference proceeds smoothly and allows all parties to take part in the discussion. When planning your conference, make sure you will be in a quiet area during the meeting, such as an office or private conference room , which will cut down on audio distractions. Make sure to place the microphone at the right distance so it will pick up your audio easily without requiring you to shout or speak above a normal level. Avoid nervous or unnecessary movements, such as clicking your pen or shuffling papers, which can cause distractions on both the video and audio feeds. Although you may be physically alone in the room, conducting your video conference in the same professional manner as you would in attending a traditional, in-person meeting is the best way to ensure your comments are heard clearly and conveyed accurately.